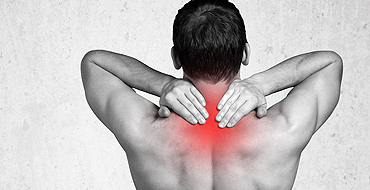 When chiropractic care is used in conjunction with massage therapy, both treatments work together resulting in a much faster recovery time for the patient. I have been coming to this place for 2 year’s now,, service is always good,. friendly atmosphere. They have a good system ,there’s hardly any wait,they’ll take you right in .Dr.Allen and April Simmons are good ,they both changed my impression on chiropractor,if you need one go no further .Plus Cate Chiropractic is the place to go. Very friendly staff and the Dr. only took a few minutes to diagnose my problem areas and suggest pain management. Also received a 60 minute massage which was absolutely the best massage I’ve received. She worked on trigger points and I left in less pain I went in with. Definitely recommend and will be returning for a massage! I’ve been a customer on and off for the past 3 years and have had nothing but amazing service! I would highly recommend April Simmons for Acupuncture. She has been there for me each step of the way and really shows that she cares about my health. My daughter & I both see the staff at Plus Care. Awesome docs and great massage therapists. Office staff is friendly and professional, too. Been their clients for many years so you know we think they’re terrific!